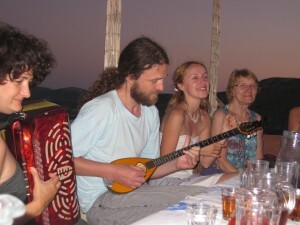 Vardakeios school organises intensive Greek language courses for foreigners combined with afternoon cultural activities.The courses are intended for adults who wish to learn or improve their Greek while wanting to experience the daily life of a Cycladic island that is alive all year round. 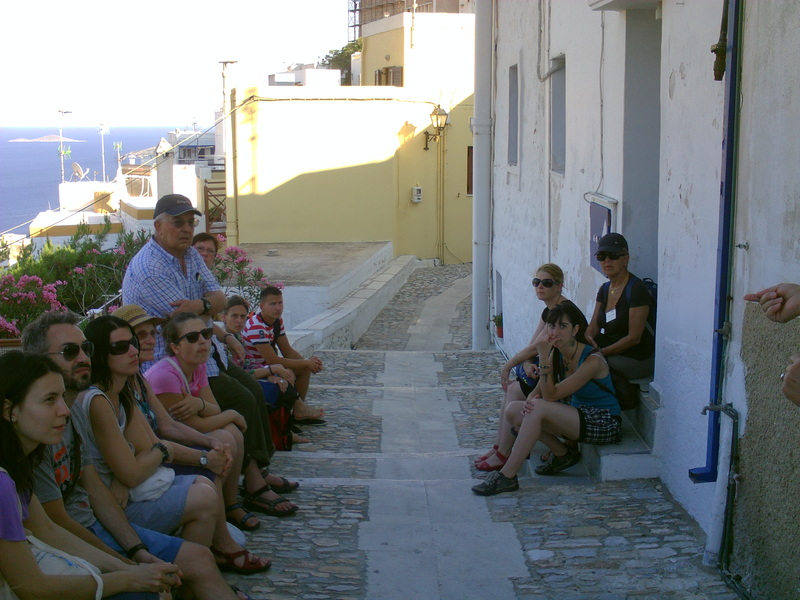 Syros is an island only 4 hours away from Piraeus ( the main port of Greece) and is situated in the centre of the Cyclades. 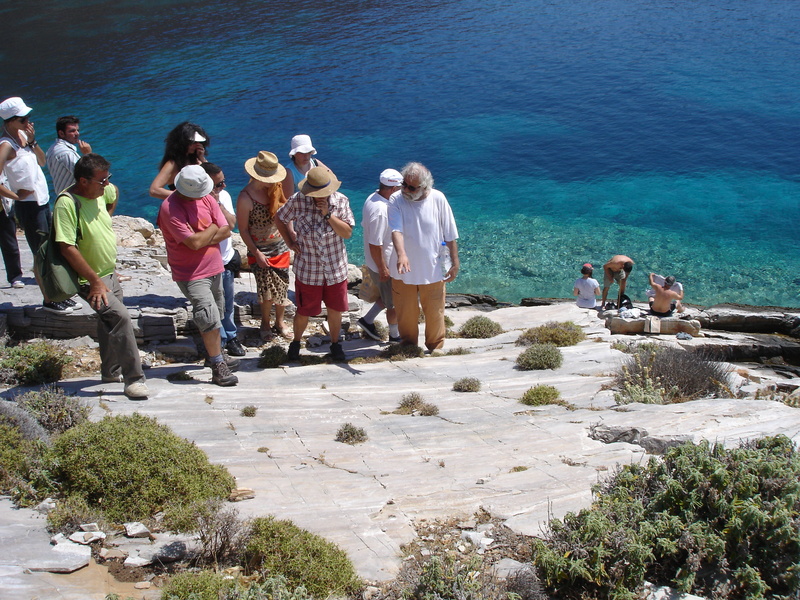 From here you have the opportunity to visit other cycladic islands such as Myconos, Naxos and Paros which are only 1 or 2 hours away by boat. The school is located in the center of Ermoupoli, just behind the Apollo Theater. 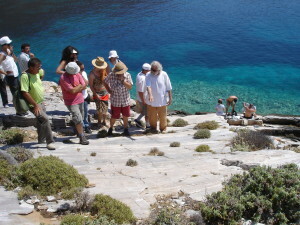 In 5` walk you can reach the beach ” Asteria” where you can swim or eat something at one of the two cafe- restaurants of the area. The courses focus on all four language skills with emphasis however in the knowledge and comprehension of spoken language. 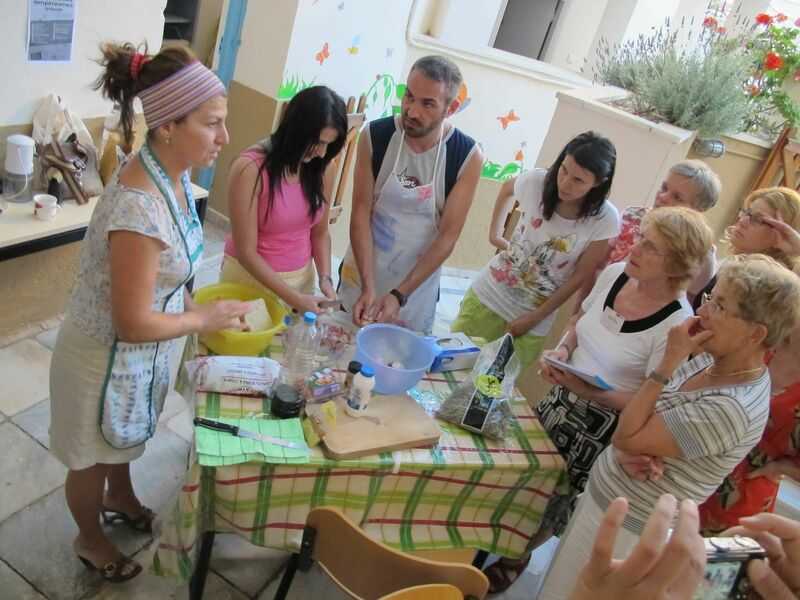 Students are given the opportunity, through small projects and evening activities, to communicate with native speakers and to be acquainted with the Greek culture. At the same time students have the opportunity to experience an intercultural experience through their contact with students of different nationalities. The classes take place in the mornings from 9.30 -14.00. Every lesson lasts 60` and there are two breaks of 15` each at appropriate times. 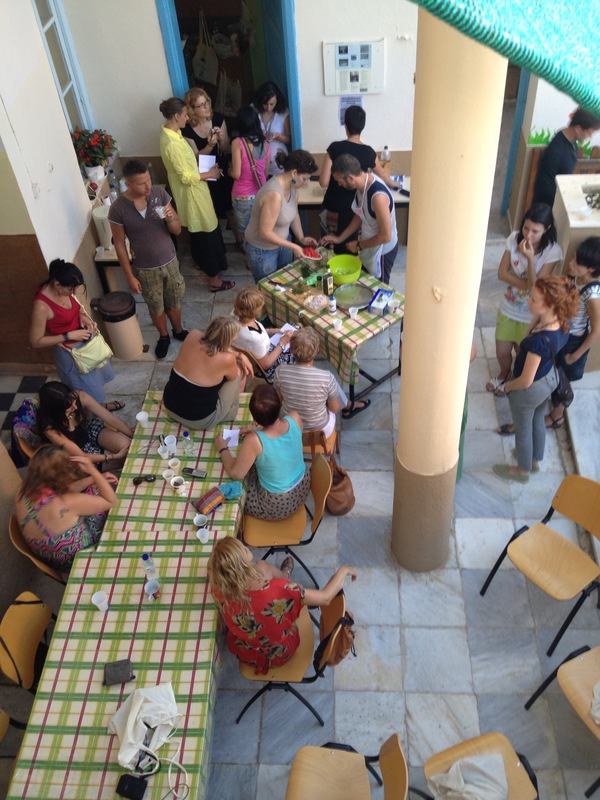 Overall the seminar comprises 40 hours and additionally the school offers evening activities. 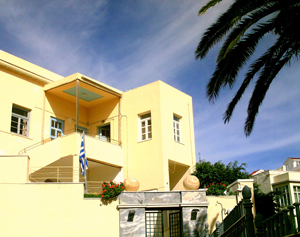 We can provide accommodation in a rented room in the center of Ermoupoli for 25 euros (low season) to 30 euros (high season) / day for a single room. For anyone who is interested we can send a placement test to diagnose the current level of knowledge. For european standard language levels please click here. If you are interested in a certain period, for private or on line lessons please contact us.